Roland have belatedly sought trademarks to protect its designs of the TB-303 and the TR-808 in Germany. But with Behringer’s RD-808 set to hit the shelves soon, the horse may have already bolted. Roland has filed trademarks in Germany for the TR-808 and TB-303. 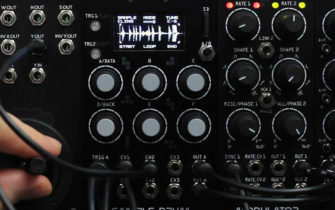 It’s seen as a move to protect its designs from being cloned by the likes of Behringer. Roland is seeking to protect the design and layout of the instruments. Everything from the layout of the buttons and knobs to the colour scheme fall under the trademark. Both of the instruments originally came out in the early 80s, but Roland has likely chosen to act now because Behringer’s release of the RD-808 is fast approaching. Will these trademarks be able to stop Behringer in its tracks? Stay tuned.